Comfortable and fun! 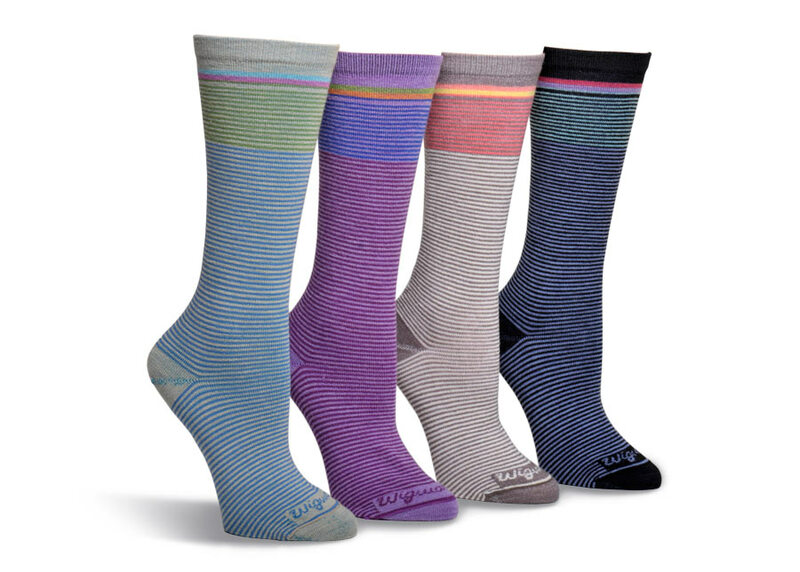 The striped "Chloe" lightwight casual women's sock from Wigwam is made of 52% Merino wool (blended with 47% stretch nylon and 1% Spandex) for softness, insulation and odor control. Made in U.S.A. Colors (left to right in photo): "Sand" (blue/green), Frozen Mushroom, and Black. (Sorry, Periwinkle is sold out.) Limited stock as this style has been discontinued by Wigwam.